Here the Watchdog is continuing his articles describing and analyzing the FBC Jax by-law changes that were voted on and approved November 28, 2007. These articles would not even be necessary if the church leadership had been open and honest with the congregation - if they had AT LEAST explained the nature and purpose of the changes - prior to asking the congregation to vote. Perhaps these changes were necessary - maybe there were valid reasons for them - but if so, one would think at least the pastor and trustees would have enough integrity, enough respect for the congregation, to stand and explain them prior to a vote. In this article on the by-law changes of November 2007, we will look at how the Pastor has ensured that his accountability to the general laity, the congregation as a whole, has been greatly minimized. In the by-laws that were approved in 2000 under Dr. Jerry Vines, there was a provision allowing the congregation to call a special business meeting. A special business meeting could be called by a written request of not less than 1500 members. These kinds of clauses allowing the church body to call business meetings are very common - they often are expressed in terms of a percentage of members required to call the meeting. They are put in by-laws as a check to power - that the pastor knows his congregation could, if they desired, call a meeting to address concerns they have even if such a meeting is NOT desired by the leadership. This clause was never exercised at FBC Jax, but its mere presence in the bylaws has a valid function - it serves as a reminder to the pastor: you ARE accountable to the people who pay your salary, and they DO have the right to call a meeting to discuss your misdeeds. Along with removal of this provision, one was added stating the only way a special business meeting is called is by the pastor, or by 3/4 vote of the Trustees. That is it. No other way. Not even the deacons can call a special business meeting. And of course, the Pastor selects the Trustees. If the Pastor has just 1/2 of the Trustees on his side, a special business meeting can't be held. Not a problem under most circumstances - but if the pastor is abusing power and the congregation seeks to hold him accountable in a business meeting or to even hold a vote of confidence, it CANNOT be done without the Pastor's trustees overwhelmingly approving it. The new bylaws also were modified to say that the pastor's services can be terminated only in a special business meeting - which of course would have to be called by the pastor himself or 3/4 of his trustees. Valid reason for those changes? Maybe, but a reasonable person would conclude that such changes should be explained to the congregation. One of the most significant changes to the by-laws was how church discipline is carried out. In the previous by-laws, there was no distinction between how discipline was to be carried out by different positions in the church - that is there were just "members" - and all "members" are to bring about reconciliation in accordance with Matthew 5:23-24 and 18:15-16. Any "member" who is accused of wrongdoing worthy of discipline would be investigated by the Deacons. Thus, it is reasonable to assume that all "members" are equal in this case - whether it be senior pastor, associate pastor, secretary, or layman - all must seek scripture reconciliation followed by Deacon investigation and report to the church. All persons including the pastor could be investigated and subjected to church discipline by the deacons. In the new bylaws, there are two distinct processes defined for church discipline: one for the pastor and other clergy, and one for everybody else. If a member has a grievance against the pastor he/she must seek reconciliation through Matthew 18, and still if no resolution is reached, and the church agrees, mediation with the Florida Baptist Convention will be used. Sounds reasonable, but the end result is this: the pastor is not accountable to any lay body for misdeeds he may commit! Its the offended party seeking reconciliation, and then arbitration with an outside body IF the church approves it. That sort of process would have worked great for Bob Gray, wouldn't it? Contrast that process with how accusations against a member are handled. There is a a Discipline Committee process that is used, and this process by definition exempts the pastor. It exempts the pastor because the first step of the discipline process as defined in the bylaws is for the the Discipline Committee to meet with the pastor to determine if the accusation rises to the level of scriptural church discipline! This church discipline process does call for the accused to be "offered" an opportunity to meet with the deacons regarding the accusations. However the Watchdog would point out that there is no mention whatsoever that those accused can be FORCED to meet with the deacons as a condition of continued attendance, or that trespass warnings will be issued until such time the party agrees to meet with the deacons. So one wonders on what authority that trespass warnings were issued to the two accused members last November, and that attendance at a meeting with a Discipline Committee was a condition for their continued access to church functions. One other smaller point: the old by-laws specified a quorum of 2000 members to conduct church business. This number was reduced to 1000 in the new by-laws. However, it is quite a stretch to say that there were 2000 members present to vote on the bylaw changes during the Wednesday night service of November 28, 2007...so likely the bylaw changes are not even valid if there was a challenge brought forth. So those are the two bylaw changes that served to move power from the congregation to the Pastor and Trustees, and to minimize accountability of the Pastor to the congregation. No doubt the men who oversaw these bylaw changes have good explanations for them - its just a shame that more respect wasn't shown to the lay people by having these changes humbly explained by their pastor prior to the vote. Another example, the Watchdog believes, of the general contempt that our church leadership has for the lay people. We just aren't discerning enough, we aren't intelligent enough - or as Jim Smyrl says we haven't been trained in "critical thinking" - to understand the reasons for significant bylaw changes. We just can't handle the truth. So the Watchdog is more than happy to help explain these changes here, and welcomes any additional comments or clarifications regarding the bylaw changes and their nature or purpose. Boy, who put starch in Jim Smyrl's shorts lately? He seems to be getting mighty grumpy these days. Maybe the pressure this economy is putting on him and Mac is starting to get to him. A few months ago he decided to label all Catholic priests as "cult leaders", and declared Obama voters as needing to repent of their sin to be in full Christian fellowship. Then last week from the pulpit he effectively accused FBC Dallas of "blasphemous self promotion" when he read selected snippets of phrases from their latest branding commercial - a blatant mischaracterization of the commercial to be able to label it as blasphemy. Now in the latest installment of "Smyrl on the Attack" we see this week Jim is slamming the SBC agency Lifeway and its leader, Tom Rainer in Jim's 1/27/09 blog entry entitled "Lifeway Without the Way". This article appeared on the FBC Jax blogsite but apparently they are having blog technical difficulties once again. Isn't it an amazing coincidence how the FBC Jax blogsite blows up whenever Jim makes a post blasting other Christian leaders? Out of my devotion to Jim and to the truth, I have done Jim the favor of posting his article below. In it Jim accuses Lifeway of offering "poision" in selling the book "The Shack", and he seems to imply that Tom Rainer went back on his word in NOT removing it from the Lifeway offerings. Jim tells a story of how he and some unnamed "colleague" went to Rainer last year about their concern over Lifeway selling "The Shack" - and that in exchange for Jim not bringing a motion to the floor of the SBC Convention last summer Rainer agreed to pull the book. But Jim now claims that Rainer went back on his word and did NOT pull the book. So now Jim is outting Tom Rainer on the FBC Jax website for his theological and ethical breach. Jim, if you're going to keep doing this and blasting other Christian leaders, why use the church's website? Get your own blog - or put it over on your own 501(c)3 website. - I'm not sure I believe Jim's story - would love to hear Rainer's side of the story. Given our pastors' penchants for fibbing in the pulpit, I am very skeptical of Jim's recount of the facts in this case - and the rapid disappearance of this article from the FBC Jax websites makes me even more curious and skeptical. - I'm no fan of the book "The Shack" and I wouldn't recommend it...but my gosh do we need Jimmy Smyrl telling Lifeway what books to sell? Mac himself admitted he read the book - Jim must have read parts of it to know he doesn't agree with it - but Mac has said from the pulpit that he worries immensely about the things we read and Jim obviously doesn't want us to read it. NEWSFLASH TO JIM: We're smart enough to determine what books to read. We can also read blogs, and we can read newspapers, and we can research your sermon stories to see if you're telling us the truth or "speaking ministerially". 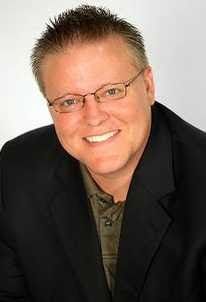 - It is amazing that Jim outted Rainer publicly on the blog. I wonder if Jim tried to address this privately with Rainer out of the public eye. Why did Jim decide to go public with it on a blog and accuse Rainer of going back on his word? I thought those that oppose this blog at FBC Jax have said disputes or questions should be handled man-to-man? So why is Jimmy doing this publicly? Jim implies in his article that Lifeway is offering the book for financial gain, and that they are offering theologically incorrect books because it is profitable. Strong accusations there, Jim. "Lifeway actually believes Baptist readers can filter through the bad theology and not allow the gross misrepresentation of God to influence their thinking. The problem with that logic is the assumption that Baptists or believers in general have been taught to read critically. " Uh, yes, Jim, we don't need you to be the sole arbiter of what religious books we do and don't read. My God, does Jim mean we need to have college credit in "Critical Thinking" to be able to discern fact from fiction, truth from error? Mac and Jim don't trust "uneducated" lay people. Doesn't trust 'em to teach a bible study (need small groups), doesn't trust them to deal with knowledge of bylaw changes, doesn't trust 'em to manage their finances or handle raises, and doesn't trust 'em to teach Church Training classes (had to disband that and bring in seminary classes). Sure Jim, you can tell us what books you recommend and don't recommend - but must you demand that Lifeway pull books from the shelves YOU don't agree with theologically? Mac and Jim think their sheep are just too stupid to think for themselves; they don't trust the Holy Spirit in the life of a believer to help them discern truth and error. We need Mac and Jim to tell us what to believe, what to read. We're just supposed to shut up, listen to Mac and Jim, and fork over our money to Mac and Jim to start satellites, purchase TV advertising for Mac and Honey and Mac's new school. - If a shopper at the Lifeway website searches for "The Shack" on Lifeway's website, they will see a warning that says "Read With Discernment"...and it gives an excellent warning AND explanation of why they offer it...if you click on the "Read With Discernment" link you will see Lifeway even provides hyperlinks to critical reviews and explanations that would be helpful to a discerning reader. Lifeway I think trusts people, and trusts God and the Holy Spirit to help readers discern truth from error. Lastly, some helpful advice to Jim: MIND YOUR OWN STORE JIM. You and Mac have enough problems and scandal at your own church before you go pointing fingers at SBC agencies that are NOT accountable to you. As a member of FBC Jax I'm sick and tired of you using our church website to blast Catholic priests, Obama voters, and now Tom Rainer and Lifeway. If you must do this, start your own blogsite and stop using our church name to lend credibility to your views. Maybe someone in the SBC needs to write a blog post about how Mac accepted a land gift and call him out and threaten to bring a motion to the floor of the SBC convention censuring Mac for that breach of basic ethical standards. How would you like the pastor of FBC Dallas preaching about how Mac lied in his pulpit about Sheri Klouda or about how FBC Jax is using trespass warnings to ban members who have been accused of blogging from stepping foot on the church property? So stick to solving problems at FBC Jax, Jim. You've got your hands full. "Lifeway Without the Way", by Jim Smyrl - as appeared at FBC Jax Website 1/28/09, and available in the Google website cache. At last year’s SBC meeting in the city of Indianapolis, a colleague of mine went with the intention of making a recommendation that Lifeway stores come under examination. The purpose behind the recommendation was to call our convention to hold Lifeway accountable to the Baptist Faith and Message in regards to materials offered for sale. At the time, Lifeway was rapidly selling The Shack, which heretically misrepresents the Trinity, presenting God from the viewpoint of a modalist. I believed and continue to believe that as a Southern Baptist entity, Lifeway should have enough integrity to offer materials that are chosen based on our BFM. The Shack is one of dozens of works offered on Lifeway shelves that not only contradicts the BFM, but more so, the Bible. Word got out regarding the recommendation. I received a phone call asking for a meeting with Tom Rainer, President of Lifeway, and one of his associates. In a spirit of accountability, I took my colleague to the private meeting at the convention. In order to maintain integrity, I will not discuss the details or spirit of the meeting. I will confirm that in that meeting it was agreed that we would not go to the convention floor with the recommendation, on the basis that Dr. Rainer had, that day, taken steps to form a review committee that would scrutinize what went on the shelves of Lifeway. As an apparent bargaining chip, Dr. Rainer offered to remove The Shack from all Lifeway shelves and immediately did so upon my agreement to withhold the recommendation. To my shame, as a man that did not know how the SBC hierarchy played the game, in just two weeks after the meeting, when time had passed for the recommendation to come to the floor of the convention and call Lifeway into accountability, Lifeway leaders made the choice to put The Shack back on the shelves. They placed a “warning to the reader” out to inform readers to be cautious and that books like the one in question were just fiction. It is incomprehensible that Lifeway actually believes Baptist readers can filter through the bad theology and not allow the gross misrepresentation of God to influence their thinking. The problem with that logic is the assumption that Baptists or believers in general have been taught to read critically. Proponents of contaminated Lifeway shelves will readily inquire as to the viability of certain C.S. Lewis fictional works or Tim LaHaye works that may picture God in a less than biblically accurate manner. It is frightening when our convention leaders justify one gross misrepresentation of the very nature of God with a lesser misrepresentation of imagery relating to God. If Lewis or LaHaye serves as the standard by which we now choose our offerings on Lifeway shelves, I’m thankful they did not fictionally present Christ as a lesbian woman. If they would have lowered the bar to that extent, what would Lifeway leaders offer as Christian literature to young and immature believers today? 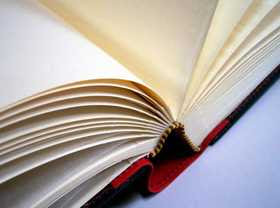 I believe believers should read from all genres of literature and have opportunity to critically examine all materials. However, for immature believers, such examinations should take place in environments where questions can be posed to them and answered from an open Bible. Such an environment does not diminish the priesthood of the believer, but rather allows pastors to build up a priesthood by properly equipping believers to become discerning, theologically minded readers. Currently, Lifeway offers poison and purity on the same buffet in hopes believers that purchase and ingest can discern, without help, between the two before damage is done. Lifeway’s actions regarding this magazine should be applauded since women serving in such a role are clearly prohibited in Scripture. However, the inconsistency is glaring. Based on what is offered and not offered by Lifeway, are Southern Baptists to conclude that it is not acceptable to provide literature that presents women as pastors, but it is acceptable to offer literature that presents God as a woman? Or is the decision not ultimately about providing literature that promotes sound doctrine? Does Lifeway choose products that believers walk in, pick up, read and adjust life and belief accordingly based on financial gain? Would it not be better to have smaller stores, fewer employees, less merchandise, and lower profit margins in order to allow Southern Baptist pastors the ability to direct our people to a store that offers materials that represent God in the manner that He has revealed Himself? Yes, it is the pastor’s role to equip the saints. Lifeway does not have the biblical mandate of the pastor. But why would Lifeway work in contradiction to the pastor’s effort to grow godly believers? Why would a Southern Baptist entity be allowed to offer materials that oppose the preaching in Southern Baptist pulpits? I say to Southern Baptists, either sever Lifeway from the Southern Baptist Convention or require Lifeway to fall within the boundaries of theological integrity in which our seminary professors and denominational agencies daily function. Since Jim Smyrl decided to declare the new FBC Dallas branding commercial as "blasphemous self-promotion" last week, perhaps we should compare the very latest commercial spots of Jim's church, FBC Jacksonville, with the commercial he has labeled as "blasphemous self promotion". View them both below in their entirety. Neither of the commercials is "blasphemous", as in their total neither commercial involves humans declaring themselves to be God. In typical Brunson fashion, Jim Smyrl did pull out a few select quotes from the FBC Dallas commercial to make it seem blasphemous, but the commercial is merely defining the church's history and purpose and mission in downtown Dallas. A mention of "Christ" is made. Shame on Jim for mis-characterizing it. The commercial doesn't glorify the pastor, his wife, his family...it is Christ-honoring. As far as "self promoting" - Jim must agree that the only "self promoting" that is going on in either commercial is that of the promotion of Mac and Deb. 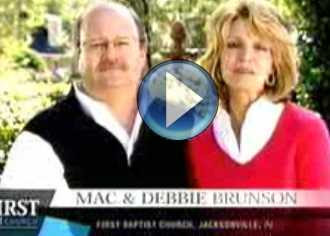 Now the FBC Jax commercial: its all about Mac and Deb - not about Christ, not about even FBC Jax. The message: why, Mac and Deb are just like you, they have the same struggles as anyone does. This is an attempt once again for Mac to use his position to elevate his family. He wants everyone to see and hear his wife. The next commercial will undoubtedly feature Mac, Deb, and Trey, and we can give Trey a speaking part to vouch for the greatness of his dad. Deb and Mac are the draw to our church? We pay for commercials for Mac to tell Jacksonville how "normal" he is? No mention of Christ, no mention of the Bible...they declare their doors open. FBC Jacksonville is still a great church...but its greatness, its draw is NOT the normalcy of Mac and Debbie Brunson, or their open doors - it is great because of what the church stands for: Jesus, the Bible...and the thousands of humble, loving Christians that love Christ and minister to people. People who don't serve for a salary and to build a brand, but laypeople who serve out of love for this city and its people. Its great not because of Mac and Deb, but in spite of them. Whenever Mac showcases a ministry that his church is involved in, he likes to tell his church: "When you give your tithes and offerings to our church, you're helping to support this ministry." Well, FBC Jax, a portion of every dollar you give to Mac helps to pay for commercials like this featuring he and his family. Wise expenditure of funds? Dig deep - there's more to come. First Baptist Dallas Brand Manifesto from First Dallas on Vimeo. "That is BLASPHEMOUS SELF-PROMOTION", Jim Smyrl boldly declared Wednesday night describing a TV commercial produced by FBC Dallas and available at their website. Jim didn't tell his listeners it was FBC Dallas' advertisement - probably because he only quoted part of the advertisement to make his point, when the rest of the commercial that he left out would have proved him wrong. A full playing of the TV commercial, along with its visual images, makes it very clear it is no where near "blasphemous" in any sense. It is a commercial that explains quite well what is the mission of First Baptist Church Dallas. So FBC Dallas: your former pastor's right-hand man is accusing your church of blasphemous self-promotion. Imagine that: FBC Jacksonville accusing FBC Dallas of blasphemous self-promotion? Are you kidding? Isn't that like the pot calling the kettle black? Well, we can at least say Jim is learning well from his mentor Mac Brunson. To make a point in his sermon, he uses a half-truth - half of a commercial - and thereby declares a church as being guilty of "blasphemous self promotion". Pretty strong accusation there, Jim, against FBC Dallas. They are not promoting man, but are communicating their church mission and their vision of the church's role in the life of their city and its people. Not promoting even the preacher, but promoting their church's faith in Christ. Watch the clip below...you will see and hear the commercial Jim partially quoted, and you will then hear Jim's selected quotations from it. Jim doesn't tell his audience that its only a select few quotes...he describes it as though he is quoting it in its entirety. That's pretty deceptive there, Jim. Now, let's compare that commercial that Jim says is "blasphemous self promotion", with the most recent TV spot getting airtime here in Jacksonville for FBC Jacksonville. It is Mac and Deb sitting on a bench. Mac says something like: "This is my wife Deb, she's been my partner in ministry for over 30 years." Then Deb goes on to describe how they have persevered through many of life's trials, family struggles, life-threatening illnesses, caring for aging parents....and that their doors are open (not the church's doors, but Mac and Deb's office doors) and they want to "walk with you" in the Christian life. Now I will go out on a limb, and declare that this is SELF PROMOTION. Not a word about the church. Or about Jesus. Its about Mac and Deb. They are so AWESOME, you must come and meet them by walking through their open door. Mac and Deb are just like you. They want to walk with you. So the draw to FBC Jax is not Christ, it is Mac and Deb. So Jim, please don't point fingers at other churches from our pulpit. Look at OUR OWN church. I mustn't either pass up the chance to make this very humorous point: Mac brought the A-Group to Dallas, and FBC Dallas kept the A-Group on board even after Mac left. I wonder if Maurilio and his company dreamed up the FBC Dallas branding commercial that is now criticized by Jim. Wouldn't that be ironic: our preacher declaring a commercial as "blasphemous", when it is was a product of the very same church marketing firm that we ourselves pay for marketing of our own church! I would close with this: In his sermon Jim does make a valid point in all of this: that the modern church is shamelessly using marketing strategies appealing to people's perceived needs, or other marketing gimmicks and images - rather than lifting high the name of Christ to draw men. So Jim is right on that point...the shame is that our own pastor and lay leaders need to listen to Jim's message - and stop the outflow of hundreds of thousands of dollars of God's money to pay church marketing and promotions firms in Nashville and Atlanta. In this 2nd article on the bylaw changes of November 28, 2007 the Watchdog will review changes made to several committees, and the offices of Deacons and Trustees. The Watchdog is attempting to provide useful information to the members regarding the church bylaw changes of 2007, since the pastor and the lay leaders chose to remain silent before a vote was asked for on Wednesday, November 28, 2007. The Watchdog blogged about this vote here and here back in December 2007, calling on the church to rescind these changes until they are explained to the church. Granted, announcements were made several weeks in advance in the church bulletin that bylaw changes were being proposed, and members were told they could view them in the library and email questions. However, since bylaw changes have to be voted on by the membership, one would think it a prudent step for someone - either the pastor or perhaps president of the trustees - to characterize the nature and purpose of the changes before asking the congregation to vote on them. We hope that the deacons who apparently did vote unanimously to approve the changes the night before the church vote - were given full explanations on the changes, and that questions were asked at that time. Included in the November 27, 2007 bylaw modifications were changes to the conditions of church membership, creation of a discipline committee and discipline process by which church discipline could be carried out against members, revokation of certain members' rights, and revokation of the congregation's right to call for a special business meeting of the church. If those portions of the changes to the bylaws don't require a loving, humble, pastor to stand in front of his people to explain the nature and purpose of such changes, then there is nothing that Mac ever needs to explain to us. Just give he and Deb the rest of Team Brunson total control of the church to do as they wish. If you want to listen to the 11/28/07 business meeting where the vote was called for, click here. The December 2007 bylaw changes dissolved the finance committee and moved those responsbilities to the "Trustees" of the church (see below). Most SBC churches have a "finance committee" that is responsible to attend to the financial matters of the church. In our church it was a standing deacon committee. They were responsible for the disbursing of all funds, and were responsible to furnish Deacons and the members a detailed financial report each month and at the close of the year. So we don't have a personnel committee from the deacons overseeing the personnel matters, and we no longer have a finance committee of deacons overseeing the financial matters of the church. Very interesting. The Board of Trustees was expanded from 11 to 17 members, and this is what necessitated a change to the Articles of Incorporation that were voted on the same night as the bylaws. The selection of Trustees was defined in the new bylaws as "...nominated by the Pastor, with the advice of the Chairman of Deacons and Vice-Chair of Deacons. The trustees shall be elected annually by the Church..." So they are nominated by the Pastor only. The previous bylaws were silent on how trustees were nominated. The are hand-picked by the pastor, and the congregation votes up or down on the entire board at once. There now is a statement in the new bylaws that says: "It shall be the responsibility of the Trustees to manage the legal and financial affairs of the church" ...and then goes on to describe what those responsibilities are, which include the responsiblities given to the Finance Committee before the bylaws were changed. So they are no longer just a body from whom the officers of the church are chosen to sign legal documents when necessary...they are to manage the legal and financial affairs of the church. A role that was partially vested in the Deacon body through the finance committee. Trustees are now responsible for annually hiring an independent auditor of the church financial records, not the Finance Committee. The previous bylaws stated: "Any disbursements that exceed $25,000 and is not a regularly budgeted item shall be presented to the church for approval." Under the new bylaws, the Trustees can vote and approve non-budgeted expenditures up to $50,000 - a quorum of trustees is 50%, so anywhere from 5 people to 10 people (including the pastor) can vote to spend up to $50,000 of money on non-budgeted expenditures. Any expenditures over $50,000 still have to come to the church. The bylaws now require the appropriate "Executive Pastor" to approve all "checks and contracts obligating the Church" for their respective ministries. That seems to be a very reasonable change. Makes perfect sense. To be generous, perhaps these changes were made not so much as to change how the church is run, but to make the bylaws an accurate representation of how the church was already being run, even perhaps prior to Brunson arriving. But if that is the case, why not explain it to the people who are present on Wednesday night to vote? Why can't the Pastor demonstrate leadership in this area by giving some explanations? From what we have seen of Mac in his first 3 years, perhaps the bylaw changes was a power grab on his part. As I will discuss later, part of the changes were to avoid conflicts as were observed at Two Rivers Baptist Church in Nashville, Tennessee. Also these changes effectively secure Mac's position as pastor and make it impossible for a congregation to fire the pastor - as we shall see it is now only possible if the Trustees decided to remove him - and as we know the Pastor picks the Trustees! He has concentrated power to run the church within the body of Trustees that he selects. His board can decide to spend up to $50,000 of church funds not budgeted...which makes me wonder how we approved to spend money on the INSP network program as a church since that expenditure was certainly NOT in the approved budget, and by Mac's own admission was more than $100,000. Bottom line: Mac has done enough, and treated us in such a manner since coming here that I don't trust him to change the bylaws as he did, and I don't think he has earned enough trust that would cause us to make any bylaw changes that concentrates power into those that are his close buddies on the Board of Trustees. In the next few articles, the Watchdog will present issues in the bylaw changes that involve how business meetings are called, how church discipline is carried out, and what "right" members have forfeited to become members of the church under the new bylaws. The Watchdog has more to say as well regarding the function of deacons in the church in light of Mac's intimidating statements to deacons about being "worriers" and that they are not to be "businessmen". These I think will be of more concern to many members that the issues above, and certainly issues that the Pastor should have explained to his people before asking for a vote. Wonder what Mac would say if you asked him about rumors that long-term members have been thrown out of the church, and that it was done with trespass warnings and no direct communication or explanation with them? "It's an act of compassion, if you want to know the truth" Mac would say. Nah, he wouldn't characterize it that way would he? Well, that's what he said Sunday to his congregation in FBC Jacksonville. After sternly telling his congregation to "sit up, listen up, and GET THIS" ...Mac compares chronic absentee members who are drawn back to church through love and compassion of the church...to how members who have been "put out da fellowship" are drawn back...through loving, caring, compassionate church discipline. And he said putting people out of the church is "an act of compassion, if you want to know the honest truth." 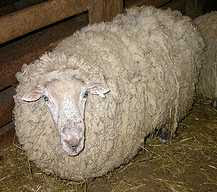 So Mac's method of church discipline is just him being the loving, compassionate, shepherd-pastor. Of course. This contradicts his earlier statements that he is to "deal harshly" with wayward Christians to "put the fear of God in YOU [the congregation]." This is so disingenuous, but a pattern Mac often repeats. When there is some issue that might be plaguing the church, some issue that Mac feels he needs to address, Mac will often do it in half truths or even out right lies. He's less interested in being 100% truthful and open and honest and transparent with his congregation, and more interested in sharing just enough truth to make himself look good. Let me explain. Its very likely that the only people who have been "put out da fellowship" lately through the church discipline process are the couple who were served trespass warnings last month. As the word is out that the church has done this, Mac decides to give some sort of explanation. So people in his church that might be getting concerned because they heard people were thrown out of church ("disfellowshipped" as one blogger put it) with trespass warnings...Mac decides to characterize it as "an act of compassion" - a loving way to draw people back to the fellowship. If he were to share the facts about the delivery of a letter, a 10-day demand to meet with 6-men else the threat of membership revocation, trespass warnings for accused member and his wife, and refusal to let them to attend a Wednesday night service to watch their child perform...well, any reasonable person would say: "that ain't an act of compassion". Mac does this routinely. Its one of the reasons that I stopped believing a long time ago what Mac Brunson says, either as a preacher or a historian. We have pointed out here how Mac lied about Sheri Klouda's testimony regarding her own view of the scriptural validity of her lawsuit against Paige Patterson. It was a clever lie, in that he didn't use her name, and was even "clever" enough to not use her gender but referred to her as "that person". The facts of the story he told were unmistakable - it was about Klouda and Patterson - but he wanted to tell it so as not to cause his people to be inquisitive, but those preachers who heard him would know that he was helping out his buddy Patterson by dissing Klouda. Shrewd, indeed. Last summer when the heat was on over the land gift...Mac decides to boldly and arrogantly declare..."I'm paying for that house"....when the reality is he is NOT paying for the house in the sense that $300,000 of it (the value of the land on which it sits) was GIVEN to him three weeks after he arrived. Not to mention the pride and arrogance it takes to make such a bold declaration in front of a crowd of 8000 or so that donates their hard-earned money and therefore PAYS HIS SALARY that enables him to live in a million dollar home. Sometimes arrogance is so in-your-face that all you can do is step back and admire it....and there is a lot of it to admire in Mac. He wants us to get behind him in his plan for a school...so he tells us that door-to-door evangelism doesn't work anymore (since nobody is ever at home anymore) and therefore a school is an absolute must to reach our city for Christ...which just is not factual. A Christian school funded by money given by people for ministry at FBC Jax is NOT a necessity to reach families with the gospel!! A school might be a good idea, but not because we must do it to reach our church's mission. Another example of half-truth: Mac tells Jeff Brumley that his "salary is nowhere near $300,000"...which would be a half-truth, since a pastor's "salary" is only a fraction of his total compensation. No pastor at FBC Jax has ever, ever, commented on their salary to the media...but because Mac is getting heat he leaves the reporter with the quote about his "salary" and $300,000. If Mac wants the world to know the approximate figure of his "salary"...then he sure as heck ought to tell us the approximate figure of Team Brunson's total compensation package to give a truthful picture! But that wouldn't put him in a good light, so he won't share his compensation number, not in a million years. 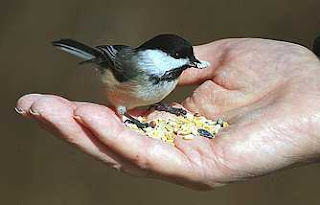 Just give a portion of the picture, the portion that works to his best interests. Even in the Brumley article Mac characterizes the blog as being about his salary and the school...when those are not at all the primary issues raised on the Watchdog blog. Half the story once again. FBC Jax, we need to be very concerned...as Mac leads us into the $20 million "Next Generation" campaign, can we trust him to tell us the whole truth, even when it might not make him look good? Can he ever tell us that he made a mistake? Does he have it within himself to accept responsibility and change course if things don't go as planned? If the $20 million is not pledged, does he have it within himself to say that perhaps part of his vision wasn't God's will, or will he turn on us and charge us as being "worriers", faithless, and "not trusting Jesus"? We shall see, but I think I know the answer. Over the next number of posts I will be discussing the bylaws at FBC Jacksonville. 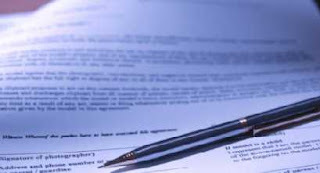 This writer has inspected and read copies of the "old" bylaws, those that existed since December 2000, and the "new" bylaws, that were modified in December 2007. These bylaws can be read by any FBC Jax member - just go to the church library and you can check them out! 2. When the trustees and pastor of the church seek to change the bylaws soon after a new pastor takes over, and they are not eager to let the people to know what the nature and purpose of the changes are. We have had both of these circumstances occur at our church. So we will spend some time here before the Pastor's Conference to look at the bylaws of FBC Jax. I believe this will help our members, and perhaps concerned members at other mega churches. When a church is functioning "normally", and there is not unusual conflict between members and the pastor/lay leaders, bylaws are no big deal. But let the church enter into a period where there may be abuses by a pastor, or members become gravely concerned over the actions of a pastor, the bylaws can become extremely important. One need look no further than the events at FBC Daytona Beach (after Bobby Welch retired), Two Rivers (TN) Baptist Church, FBC Ocala (FL), and even Bellevue Baptist Church to know that bylaws are important! Bylaws will define how special meetings can be held by the members and deacons, how the pastor can be removed from his position, what rights members have and what rights they relinquish, how members can be kicked out of the church and therefore denied their membership rights, who has authority to hire/fire personnel, what the discipline process is for members considered to be "divisive", and what levels of expenditues must be voted on, and many others. Before we look at the FBC Jax bylaws and the December 2007 changes, let's discuss the style of church governance at FBC Jacksonville in the bylaws. After reviewing the bylaws its very evident that our church is a heavily "pastor led" church...definitely not what we would call a "congregation led" church. Smaller SBC churches typically are "congregation led" in that and power is spread over lay committees and the pastor's power is somewhat limited. A pastor is generally a defacto member of all committees, so still can exert considerable influence on committee decisions. "It shall be the duty of each and every member of the this Church to honor, esteem, and love the Pastor, to pray for him constantly, and to manifest a tender regard for his reputation"
Very interesting. Shouldn't all members be loving, honoring, and esteeming EACH OTHER out of Christian love...we should be praying for each other, and be tender to each other. To specifically require members to "honor, esteem, and love the Pastor", and to "pray for him constantly" seems a little, well "cultic"...it seems to be setting up some position similar to that of a "Pope". Since we should honor, esteem, and love ALL brothers and sisters in Christ, does this means we should honor, esteem, and love the Pastor MORE based solely on his position? Is he worthy of honor, esteem and love in extra measure more than others? To call out for extra love and honor to be bestowed upon a man based on his POSITION...and not on facts of his character, his behavior, his words...is dangerous. This is how men like Bob Gray and Darrel Gilyard abused for so long even though some knew of abuses. Why he was the PASTOR!!! We are REQUIRED to honor him. We MUST esteem him! How DARE YOU bring accusations against him as that would harm HIS REPUTATION. We "loved, honored, and esteemed" Pastor Lindsay and Vines NOT because of their position as pastor, and NOT because the bylaws said so. But because of their CHARACTER, their LOVE, their LOYALTY to the church demonstrated over years of faithfullness. "The pastor shall have sole and exclusive authority in the matter of hiring and dismissing staff members of the church." No personnel committee. No advisement of anyone else in the church. One man makes the decisions. As I said earlier this week, this system might work find for SOME pastors, but it doesn't seem to be working well with Team Brunson, as our long-time ministers are now gone (some of them were fired, others felt compelled to leave), and we have Brunson family members and close associates running the church. This was a good system under Lindsay and Vines...but what is so sacred about this authority that would make us keep it when we undergo a pastoral transition? Why on earth would we keep this in our bylaws when we hire a new man from Dallas that we really do NOT know? Would it not be prudent to tell the new pastor candidate that the bylaws will require personnel decisions to be overseen by a deacon committee, and there will be a nepotism policy governing hiring of family members? If a pastor candidate demands full authority for hiring and firing as a condition of his employment when he is an uknown quantity to the church...I would cross that pastor off the list. Don't touch him. If he's not willing to come in and EARN his respect and power, working with a committee of trusted men at the church on personnel decisions, I wouldn't want him within a mile of the pastor's office. After all, how do we know the new guy won't come in and fire everybody and hire his own family and friends to run the church? Oh my, that wouldn't ever happen, would it? The new bylaws specifically state that the pastor now has the authority to "nominate" trustees and officers...and the church votes on them. Voting power is meaningless unless they some say in who comes up for a vote! Because the trustees include Treasurers and Assistant Treasurers, this is dangerous. This power to appoint godly, responsible men who will act in the best interests of the church to trustee positions should be shared to some degree with the congregation. That is obvious. Many churches use a "committee of committees" to make appointments to officers and other committee positions. So that is where we are. We handed the keys of a hyper "pastor led" church to a virtual unknown. And so far, we have paid dearly. And as we will see, in December 2007 we decided to give Brunson even MORE authority. Last Saturday SBC pastor Wade Burleson wrote an article at his blog about leadership and used Ted Haggard's moral failures as a back drop. What I took away from Wade's article is this: lay leaders do much harm to their churches and ministries, and even do great harm to the pastors themselves, when they give pastors virtually full control of a church, within a system designed for minimum accountability, and very little transparency and openness with the members. I would say the potential for harm is even greater when we hire a new pastor that has no track record with the lay leaders and the congregation. It makes virtually no sense at all to concentrate power over a mega church and its staff and ministries in one man that is a virtual UNKNOWN to the congregation. I believe this is perhaps our biggest mistake as a church during our pastoral transition after Vines. Too bad our trustees - most of whom are learned business men and lawyers and leaders - didn't have the foresight to see potential problems of our pastor-led system with a new pastor. We failed to make some important bylaw changes to reduce the power of the new pastor...which would make sense given that he was an UNKNOWN. As we shall see starting tomorrow as we look at the bylaw changes at FBC Jax from December 2007, not only did we give the same power and control of our church to Mac Brunson that our very seasoned and trusted pastors had, but we actually gave him MORE POWER, LESS ACCOUNTABILITY in the bylaw changes of December 2007...while not even making sure the most faithful and trusted members understood the changes and how they impacted their church and their church membership. Shameful. Shameful. Now I'm sure Burleson didn't have Team Brunson and our lay leadership in mind when he wrote his article, but boy it sure fits our situation and the leadership of Mac Brunson. By the way, Burleson, contrary to slanderous remarks made to our church staff by a certain FBC Jax staff member at our church who has served with Burleson at the IMB...he IS a solid, bible inerrancy conservative SBC pastor...who happened to fall out of favor with the SBC big wigs for using his blog to hold the IMB accountable for decisions he believed were harmful to the SBC. Its a story too long to tell here, but his blog is probably the most read blog in the SBC and a definite must read. "We Christians should take an honest look at what it is we think qualifies a person to lead." "We have pastors who bully those who question them,... and other actions that lead me to believe we have a God-complex among some of our leaders." Nothing more "bullying" than issuing trespass warnings to suspected bloggers and their wives. Ask the members - there is a aire of fear at the church, that those who question the leadership will be singled out or asked to leave. This entire blog is about the "bullying" and intimidation of Mac Brunson from the pulpit. "This false sense of moral invincibility has led to a climate where transparency, honesty, and personal integrity are no longer a part of our corporate faith." Amen. We have to realize that our leaders need accountability. For instance, Mac loves his family so much, he is such a wonderful husband and father (I mean that sincerely), that if not checked he may use his position as pastor to give ALL of them jobs at our church. That is a "weakness" that he has that needs to be checked through some system of accountability like most other churches have through a personnel committee and perhaps a nepotism policy. "Had people known of his [Haggard's] struggles, they could have held him accountable. Had people had the sense that their leader was fallible, they might have never given him such unbridled freedom and authority." I think admiting one's mistakes to the congregation would be a starting point. When a lie is told, apologize. When you blasted us to a group in North Carolina, explain your words or apologize. Its OK Mac to let us know you've done something wrong or hurtful. "The problem with organized Christianity is not the gospel. The problem with organized Christianity is that too many Christians have forgotten that leaders are fallible." "Yet, in my mind,the true gospel is only strengthened when Christian leaders lose their public sense of absolute authority and spiritual perfection. Anybody who presumes to talk on behalf of God should remember that the treasure we possess (the gospel) is carried in fragile, clay jars." "The lust for power and absolute authority, the lust for fleshly gratification and paralyzing materialism, and the lust for personal recognition and praise are all inner demons that every SBC pastor and leader faces. The only way to prevent leaders from acting out on such temptations is to realize that these sins are common to fallen man, to never bestow absolute authority or unbridled freedom on any man, and to resist the idea that any Christian leader is beyond being questioned." This is so true today more than ever. We see this right in front of our eyes at FBC Jax. "The SBC church, institution or agency that believes the "leader" is beyond simple accountability will find that leader has the capability to ruin the organization. When and if that happens, the fault will reside not only with the leader, but those laymen who were unable to see that a lack of transparency is the first indication that something is wrong." Exactly. An unchekced leader has the capacity to ruin an organization, and if it happens, the blame falls not just on him, but the laymen, the churchmen, who didn't stop it. Do any of you lay leaders at FBC Jax get it? Do you realize what you have done by changing those by-laws and giving full authority and power to Team Brunson (which means Mac, Deb, Trey, and Maurilio) with no real accountability or transparency? Do you think you've done them or our church any favors in this? I pray that some of you staff and lay leaders will read this blog and wake up. One of the problems created when a pastor accepts land gifts worth $300,000 when they come to town, immediately and brazenly begins to use nepotism, lies with disdain about a woman who is in conflict with one of Mac's friends, talks his congregation down behind our backs and then allows the bylaws to be changed giving him even MORE power than previous pastors and taking rights away from deacons and congregation without a single word of explanation to the congregation...and when he stands in the pulpit and demands we fork over 1 million dollars in two weeks to fix repairs of the facility that he SHOULD have included in the church budget...one of the problems these abuses and others create is a lack of trust between pastor and congregation. Trust between congregation and pastor is important. I don't trust Mac Brunson. After nearly 3 years, I and others are conditioned to look closely at MOTIVES. I refuse to drink the Mac Brunson Kool Aid and place the same trust in him as was placed in previous pastors. When a church is "pastor led" as ours has been for decades - that is he has sole authority to hire/fire staff, appoints his trustees, has a provision in the bylaws stating that members are to "love and esteem" the Pastor and to "manifest a tender regard for his reputation"...it requires the congregation to have immense TRUST in the leadership, motives, and direction of the pastor of the church. This worked very well under Lindsay and Vines. Men of high integrity - who didn't use their positions as pastor to give "splash over" blessings to their family through nepotism - and who demonstrated their love for the congregation over and over and actually earned their trust. They didn't give their wives a co-pastor position and use the TV ministry to give their wife airtime as now is happening on our TV broadcasts (if she is Mac's co-pastor, can't we just admit it like so many other mega ministries have -like Joel Osteen has?). My point: this hyper "pastor led" system doesn't work with Team Brunson. While obviously many still do trust them, its obvious that many more are catching on and either are completely disgusted and have left, or they are scratching their heads and holding on, hoping that nothing here on this blog is true. I say all of that to say that when Mac expresses concern in January about how we spend our money (after thanking Jesus in the fall that we aren't getting raises), and assumes in the pulpit that we're all a bunch of mindless overspenders - and is going to force us in our Sunday School to look at financial matters in February...I ask, WHY? What are his motives? Does he love us, and want the best for us and our families financially? Or is this part of he and the Nashville marketing firm's fund raising technique this spring culminating in the grand fleecing of getting us to give $20 million dollars so we don't go into debt to implement his "vision"? Mac's sermon on 1/4 I think is the "kick off" for the campaign to get us to give money to support his vision...and it will be cast in this light: if you want to keep the church out of debt, if you love the church, and if you respect Lindsay and Vines, you will fall in line with all of his vision. By the way, if you read about the vision on the website, it calls for satellites in all sides of town - not church plants but satellits to spread the FBC/Brunson brand...must be there are so many "sorry" churches in town that just aren't reaching Jacksonville with the gospel. Mac I predict will continue to attack our spending habits and money management, will load us with guilt about our lifestyles...it all just rings hollow while he and his wife are living in a million dollar home, using our church website to entice the wealthier members to spend thousands to accompany them and the "Brunson family" to the Holy Land. Why, yes, a call for prudence and a halt to the over-spending....of course after they have already "gotten theirs" - by accepting the land gift from one of our wealthy members and putting the family on the pay roll. Sounds great. I predict the next three months will be the execution of one long promotions plan developed by our church marketers to maximize revenue to the $20 million vision. Small groups will be used to help shape people's views. Instead of casting the vision to everyone and letting the Holy Spirit work on us and letting us begin to give money out of our convictions and promptings of the Holy Spirit, the vision is in full swing - and we will either pay for it or we will go into debt. Below is a collection of clips from the 1/4 sermon...with some commentary on the hypocrisy and condescension of Mac Brunson contained therein. This is a taste of what you will hear over the next few months as Mac tries to get us to support his vision and to give the money to support it - and when he gets done executing the strategy in March - IT WILL BE OFF TO THE HOLY LAND with the wealthier members of the church while the plebe stay back state-side and work and look for jobs to pay for the vision. Update on Pastor's Conference 2009...PRICE CUT! Just a few updates on Pastor's Conference 2009, which is only a month away! The conference website says that the women's conferences and premium sessions are now free of charge. The $50 fee for "premium" session and $30 fee for "women's sessions" is now waived. That is great, and we hope that anyone who has registered already will get a refund of the $80. If you already paid your registration fee, be sure to contact Trey for your refund. The cut in fees is a nice gesture I suppose on behalf of Mac, Trey, Maurilio, and the Nexus Promotions firm in Atlanta...the rationale for waiving the fee is that the "economy is tight", which is to say: "registration is so far off from last year that we need to do something to increase attendance so we don't embarrass ourselves." The economy wasn't doing too well when the PC 2009 website started the registrations last fall, so I suppose its a bit disingenous to say they're cutting the fees to help people out...in a marketing and promotions-driven mindset you try to maximize revenues by charging as high a price as the market will bear. But we do thank Team Brunson for the price cut - this must have been a tough decision on their part given how they have to pay the A-Group and Conexus for the marketing and promotions for the conference. Also, the good people of FBC Jax want to thank the Billy Graham Evangelistic Association for being a sponsor this year of the conference. According to the conference website there is only one "sponsor" listed - the BGEA - so apparently we were able to extract a fee from the BGEA of between $5000 and $12,500 for them to be "sponsors" - depending on which "promotions package" they were sold by Trey and Trey's promotions firm, Conexus, in Atlanta. Way to go Trey! We are so proud of how well you are able to "raise money" for the Pastor's Conference (even though we know it is not you, but the promotions firm - your dad left that little detail off when he patted you on the back for "raising $100,000" last year just before Dr. David Jeremiah spoke) - for 20 some years we were too ignorant to know we could actually get away with selling promotions and advertising at the conference, but now that you and your dad and Maurilio are here....CHA CHING...and the sky's the limit now! We eagerly anticipate seeing how many other sponsors you were able to sell...will we get Jim "Jesus" Caveizel to come and sell us on the tape series again? We were all so blessed by that commercial last year. We also thank the exhibitors that have paid $750 each for the use of a table, a cloth, two chairs, and a power strip. According to the conference website, we have SEVEN exhibitors who were lucky enough to have their organization's hyperlink posted on the website...this would mean that they purchased the $2500 "SPECIAL advertising package" since this is the one that allows them to get their hyperlinks on the website. Way to go Trey! Cha-Ching! Keep selling those promotions Trey! That is great! Ain't God good? ALL THE TIME! $45,000 is great, don't get me wrong Trey...but last year you hit $100,000, which according to your Dad was twice your salary. We expect at least $100,000 this year too...$45,000 is good since it really is not money collected to offset costs to provide services...its just selling access to the eyes and ears of our attendees...its gravy so to speak...but we need all the gravy we can get in these hard economic times. Also, those of you who were sold the promotions packages - like the "Gold Sponsorship", "Silver Sponsorship, and the super duper "Platinum Sponsorship" - and other exhibitors - the deadline was yesterday to pay the other 50% of your advertising fee. Make checks payable to "Team Brunson". Thank you for your support! One last word to the exhibitors and sponsors: give Trey a call and ask him how many people are registered for the conference. The fees charged by Trey and the promotions firm are presumably based on their claim that there will be "over 3500 Christian leaders" at the conference to whom you will be able to reach with your message (see the different fees charged by Conexus for their other conferences). If they are far short of this number, you might want to ask for an adjustment of the advertising rates being charged. Also, if you decide not to attend, you can still get a refund of your registration fee, minus a $50 cancellation fee...if your cancellation request is approved by Trey. Just trying to help everybody out! Now Trey, get busy selling those sponsorships, time is running short! We would hate to have to adjust your salary downward! Watch the clip below to see Mac lecture his congregation like they're a bunch of restless 3rd graders who can't sit still. Out of an audience of 8000 people a few head for the exits as he starts his closing history lesson, and he decides to call 'em out and then bless us out as though for 2 1/2 years we've been nothing but rude during the invitation time. But leave it to Mac to think we're a bunch of dolts who can't sit still. He's such a flaming hypocrite, when HE is the one who is regularly rude in his sermons. He's the one who has left early to catch a plane for his Mediterranean cruise and left while the invitation was given. His brazenness and hypocrisy is breathtaking...almost as breathtaking as the Kool-Aid drinkers who actually applauded his rudeness. I think its all about power. He loves to talk down to his people as though he is the one who has it all together...that if we would just listen and obey him, and sit still while he preaches, we would all achieve the wonderful spiritual plane that he is on. It gives him a feeling of power over his people. This is the final article examining closely the charges that have been levied against a man and his wife for owning and controlling this blog. The letter, along with the trespass warnings can be read here. From the looks of the crowd during Sunday night's service, perhaps there have been hundreds of members served trespass warnings - where have all the members gone? As mentioned previously, the glaring omission from this letter is the mention of the pastor's name. The committee is accusing the Watchdog of attacking and harming the church members, when the blog is focused primarily on Mac Brunson, although sometimes the Watchdog is critical of Team Brunson and Jim Smyrl. But in Mac's view of the world, to be critical of the pastor, to call for the pastor to explain his actions, is tantamount to attacking the church and committing grave, public sins. Sorry, but Mac ain't the church. We have examined charges "A" through "M", and will examine "N" through "P" here as a final installment in this series. 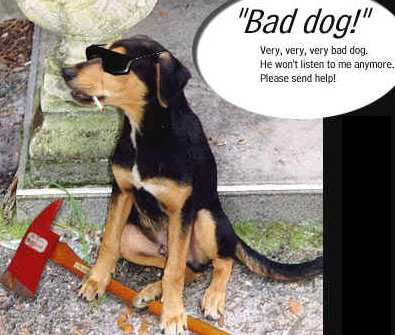 "N. You have strongly urged your fellow Church members to disseminate the contents of your blog site to as many people as possible, including those enrolled in their individual Sunday School classes, and should they fear to do so, to submit those class rolls to you and you would disseminate the content of your blog site yourself;"
The Watchdog is guilty as charged. Yes indeed, the Watchdog very much would like the members of FBC Jax to read the contents of this blog site. It would help to get them thinking more objectively about what is happening at their church. The Watchdog has not sent any emails out to members, although has received emails from readers who DO have email distribution lists and they may or may not have distributed the contents of this blog. I know of one member who claims to have the list of the 210 members who were invited to a special meeting with Mac last month to preview the "Next Generation" plans. ONE WORD OF CAUTION: If you do send this site to other members, get an anonymous email address because the discipline committee may be at your door if they get wind of anyone being so "destructive and divisive" as to send this blog to other members. Not too worried about the drunkards and adulterers and swindlers...but doggone it they have GOT to stop these bloggers! "O. You have always blogged this site and the contents thereof anonymously and refused all prior requests to meet with appropriate Church personnel that that any legitimate questions that you may have could be considered and answered." The man who received this letter claims that the church has never, ever contacted him about the blog...they just showed up at his door and delivered a trespass warning for being accused of running this blog. The church has never contacted the Watchdog, so I guess we'll just say the discipline committee has their facts wrong. Perhaps Team Brunson has told the committee that they have tried to reach out to the Watchdog, but they would never mislead anyone, would they? "P. You have committed such other acts and made such other statements as would threaten the unity and harmony of First Baptist Church and its operations and ministries." Definitely a lawyer "catch all" accusation...I wonder what "other acts" they are referring to. Maybe the Watchdog accepted a $300,000 land gift, or got the pastor to put a commercial for his relatives in the sermon...or maybe the Watchdog was caught selling advertisements to the Pastors Conference. Or maybe the Watchdog secretly changed the bylaws when no one was looking, or maybe he went to another church and called the members of FBC Jax legalists. No, the fact is that Mac Brunson is the great divider. He has done a masterful job dividing our congregation between those that are fully behind him and fully support HIS vision of the church, and those who have questions or express worry. If there is any one person who has threatened the unity of the church, it is Donald M. Brunson. So those are the accusations. "The above list is not intended to be exhaustive in detailing your inappropriate, divisive, and destructive conduct. Rather, it is description of the subversive conduct in which you have actively engaged during these past many months, and serves to substantiate the public sin you have willfully, and repeatedly committed, and continue to commit." Wow...I guess however evil the A through P list paints the Watchdog, he is even WORSE! He is "divisive" and "destructive" and the list could go on and on! Please someone stop the Watchdog before he destroys the entire church! "Therefore, in accordance with the instruction of Christ Jesus recorded in Matthew's Gospel, Chapter 18, verses 15-20, and in compliance with the Bylaws of First Baptist Church of Jacksonville, this Committee, on behalf of the church, is compelled to meet with each of you immediately at the Church for the purpose of reconciliation and restoration...The meeting must take place within ten days of the date of this letter". Well, I don't see how their process is in compliance with Matthew 18:15-20, although perhaps it is in compliance with the bylaws. But if they have not first sent one person, then two people to meet with the accused, but instead demand as a first step (that is after the step of delivering a trespass warning), meeting before SIX MEN within 10 days...compelled by the unnecessary issuance of trespass warnings...the Watchdog can't find that anywhere in Matthew 18:15-20 or anywhere else in scripture. Maybe Mac can tell the drummer in the orchestra again: "Hey drummer, you worried about trespass warnings? I didn't think so...only those deserving of trespass warnings should be worried about trespass warnings." "Until that meeting, each of you is hereby notified that you are prohibited from coming on the Church grounds or premises for any reason except the meeting above described. This means you are not permitted to attend any service, program, activity or ministry until the above-referenced meeting occurs." Is THAT in accordance with the bylaws? Who in the church has the power to effectively ban members from the premises for accusations made against them? Who "owns" the premises to the extent that they hold the power to ban MEMBERS of the organization from attending services in the church? The Watchdog is not being accused of creating a raucus at the church, or yelling during the services or being disruptive. Here's a thought: a discipline committee needs to be formed by the deacons of the church to investigate THIS discipline committee to find out why they are not exercising church disicpline in accordance with Matthew 18, and to find out who was it that authorized trespass warnings to be issued against two members of the church? Come on deacons...don't let Mac intimidate you! You are to serve the MEMBERS OF THE CHURCH...did you hear Mac's son-in-law Sunday night? He spelled it out quite clearly. Deacons should be serving the people and helping them...you are NOT elected and ordained as a deacon so you can do the bidding of the pastor but you are to look after the "general welfare of the church". Read the bylaws so you know what your responsibility is. You have a runaway pastor and discipline committee serving trespass warnings, and you ought to be on top of this and find out who is driving this process. "Any membership rolls, names, numbers, and/or addresses generated by First Baptist Church must not be duplicated and those in your possession must be surrendered to Reverend Blount within 10 days of the date of this letter." What?? Who are they to demand that anyone "surrender" names of people to John Blount? Within 10 days? These guys are on a real power trip. What are they so afraid of? That someone might email someone and tell them to read this blog? Get a grip, guys. You can't control who people email and what they email them about. "Failure to cooperate with this request for a meeting, which again, will be conducted for the purpose of reconciliation and restoration, required of us according to Scripture, could result in a process leading to your removal as members of First Baptist Church of Jacksonville, Inc."
Holy cow...they claim that to issue trespass warnings and demand a man and his wife go to a meeting with 6 men of the church with no copy of the bylaws provided, and no representation allowed, is "according to Scripture". What version of Scripture are these clowns reading? I mean this is so wacko as to be laughable - if it weren't so darned sad and shameful. So that's the letter. As a reminder, the accused sent this letter in response, with this response from the committee. A meeting has not taken place as far as I know, since the church has not complied with the man's request for a copy of the bylaws and agreement that he may take representation with him to the meeting. So perhaps the next move will be to vote the man and his family out of the church as threatened in the letter. We shall see! Who is next? Who will receive the next trespass warning and letter? FBC Jax: "The Church of the Open Door (for Those Not Served Trespass Papers)"
Tonight we were treated to a sermon by Mac's son-in-law, a recent graduate of Southern Seminary, still working to complete his dissertation. I mean no disrespect in this article to Barry, Mac's son-in-law. He gave a pretty solid sermon from the gospel of John on servanthood. The criticism here is directed toward Mac himself, and none at all towards Barry. We were introduced to Barry in the summer of 2006 when he preached in Mac's stead on a Sunday night, unannounced, and then last year when Mac (or Honey) had the absolutely brilliant idea to have Barry ordained to the gospel ministry here in Jax - not at his home church or his church where he and his wife currently serve. No, gotta have it where Daddy Mac is the big time celebrity preacher. According to Mac, Barry is soon going to begin a one-year mentorship at FBC Woodstock under Johnny Hunt as Barry completes his PhD dissertation. Membership in Team Brunson does have its privileges, doesn't it? But my point is: how does a young, recent graduate of Southern Seminary get to preach at FBC Jacksonville, on the night that new deacons are ordained? Out of the many, many graduates at the SBC seminaries, who gets selected to preach for Mac Brunson at FBC Jacksonville? Why the one who is married to a relative of Mac Brunson, of course! Just a warning to the people of FBC Jacksonville...after Barry completes his mentorship, you can bet he will be coming to serve at FBC Jacksonville. He might be well qualified, he might not be, but that is not the point. The danger of nepotism is that positions are filled not through a process of defining a position and requisite qualifications and experience and then interviewing to select the best qualified - but rather it is filled according to the whims of someone of power in the organization. In fact, if no position exists for a family member, they will be created. Have you wondered why from the very beginning of Mac's tenure at FBC Jacksonville he has included his extended family, including son-in-law Barry, in all family photos and birthday card greetings to FBC Jax members? Why would Mac ordain his son-in-law where no one knows him and where he is not a member? Yes, Mac is a proud family man, but I believe that it is part of a marketing plan to sell the "Team Brunson" concept to the church...that when we were told about "Team Brunson" back in March 2006 when we voted on Mac we were voting for "Team Brunson". And "Team Brunson" as we are discovering includes 'em all. All part of the plan so that we'll all say "Sure, Barry is a perfect fit for our church...why Barry was ordained here, his son was dedicated here, and why he's even preached here on multiple occasions." Sad, isn't it, that Pigg, Howard, Barton, Carr, and others weren't good enough to keep, but Mac's relatives, of course, will earn the mark of approval from Team Brunson and will be hired as soon as possible. Our church exists now as the "Brunson full-employment agency" apparently. While it was great to have a provision in our bylaws that gives the pastor exclusive authority in all hiring and firing when Lindsay and Vines were here, it is backfiring with Brunson here. Yes, I am jumping the gun here in predicting Barry's arrival at FBC Jax, but I'm bringing this up so that perhaps some in the church will let Mac know that the blatant nepotism is over...that the hiring of son and wife is as far as we will go. This is very problematic, in that the bylaws specifically state the pastor has sole and exclusive authority in the matter of hiring and dismissing staff members. There is no "personnel committee" as in most baptist committees that provides oversight to the hiring/firing of staff members. So as the bylaws are currently written, Mac can hire every single family member that he desires - according to the bylaws of the church. "Deacons have been set apart as servants...NOT BUSINESS MEN [yelling that very sternly and angrily]...but servants to the church..."
This was his follow-up to his warning that deacons are not to be "worriers", and that if they "worry" about anything in the church the are "not trusting Jesus", and worrying deacons should be removed from the deacon board. One minor detail: Deacons are charged in the bylaws with the general welfare of the church...which MIGHT just include business matters if they deem it necessary to be involved in such matters - whether Mac likes it or not. Its somewhat ironic that Mac likes to take his initiatives to be rubber stamped by a vote of the deacons, but then declares they are not to be businessmen! If they are not to be "businessmen", then why bring matters to them for voting as Mac does? Answer: Mac wants "yes men" only to serve as deacons, and to rubber stamp any and all initiatives that he brings before them. This all reminds me of the immortal words of Mel Brooks: "Its good to be da king." We're examining closely the charges against the Watchdog found in this letter. In part 3, we are looking at items J. through M.
"J. You have criticized, without a factual basis, the new visionary initiative of starting a South Campus Congregation"
Are Satellites the Answer for FBC Jacksonville? In this article the Watchdog examines the decision to start a South Campus, and is critical of the plan primarily because there is no basis to assume that a stagnant church, one whose attendance is not increasing and is possibly decreasing, can turn things around by starting satellites. Most satellite churches are born out of necessity, when a congregation finds that its main campus has no more space to accommodate growth. Also, the Watchdog found it offensive that Mac on multiple occasions in 2008 tried to tell the people of FBC Jacksonville that the church in Rome in the days of the early church was a group of "satellite churches" - absolute rubbish - and its embarrassing that Mac tried to sell this to his congregation. Brunson Discovers Church in Rome was Satellite Churches! "K. You have belittled the work and service of many dedicated First Baptist Church members who have offered their time, resources, and homes to lay the ground work for a starting South Campus." This is not correct. To question the pastor's decision to start satellites is not akin to belittling the work of FBC Jax members. Again, Mac is the one who has shown a disdain for FBC Jax members on many occasions. You will see in this article the Watchdog was critical of several things, including Jim Smyrl's assertion in one of the Life Link informational meetings that there is no preacher in our city like Mac Brunson and we need to get his wonderful messages out to other parts of the city and country. "L. You have encouraged and advocated, as a tool of retribution, that First Baptist Church members withhold their tithes and offerings in an attempt to jeopardize the security of the financial operations of First Baptist Church." It is true that the Watchdog has advocated members withhold their givings - if they shared the Watchdog's concerns over the bylaw changes in December 2007 and the many abuses at FBC Jacksonville. But it is incorrect to say that this was to "...jeopardize the security of the financial operations of First Baptist Church." That was not the purpose at all. The purpose of withholding financial gifts to FBC Jax could be for any number of reasons including disagreement with how Team Brunson is raising and spending money. Another reason would be because the bylaw changes in December 2007 transferred power from the congregation to the pastor and trustees with no explanation from the pastor, leaving concerned congregants only voice to be through their giving. "M. You have belittled and ridiculed, falsely, the manner and method by which the families of First Baptist Church can dedicate their new babies and children." Total garbage. The Watchdog has been critical of Team Brunson for misusing their power in holding a special baby dedication on a Sunday morning for their grandson, and also a special ordination service for their son-in-law. The comments are levied directly at Mac Brunson, not the people of FBC Jacksonville. The writers of this letter seem to be afraid of using Mac's name. If the writers believe the Watchdog was sinning by being critical of Brunson's special baby dedication and son-in-law ordination services, why not just say it in the letter? 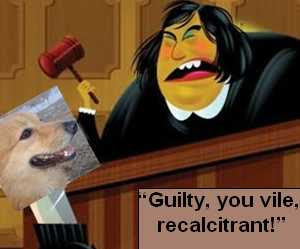 Tomorrow: Accusations N. through P.
In the previous post we looked at the first four accusations made against the Watchdog by the "Discipline Committee" in their letter dated 11/28/08 sent to the man and wife they are wrongly accusing of being the owners and controllers of this blogsite. The letter contains specific accusations lettered "A" through "P". We will look here at the next 5 accusations. "E. You have charged First Baptist Church of the manipulation of financial and ministerial responsibilities for personal gain." Not sure how they would define "manipulation of financial and ministerial responsibilities"...sounds like some lawyer speak there. While this committee is very vague in their accusations made against the Watchdog , the Watchdog has been very specific in accusations against Mac Brunson to which they may be referring: Mac Brunson accepted a $300,000 land gift from one of the church donors just weeks after he arrived, he has displayed nepotistic tendencies in placing wife and son on staff in newly created positions of which the church has not been told what their ministerial responsibilities are...Mac has used the FBC Jax website to advertise for his "Holy Land" trips...he has used one of our most highly attended Sundays (Easter Sunday) to hold a special offering to raise funds to put his sermons back on nationwide TV (which by most reasonable standards is a budgeting issue and a recurring cost not subject to "special offerings). That's just a few. If pointing out those abuses of power is what they mean by "charged the First Baptist Church of the manipulation of financial and ministerial responsibilities for financial gain"...then the Watchdog is guilty as charged for pointing out those abuses. "F. You have argued that First Baptist Church members should disregard and defy the decisions and policies of the clerical and lay leadership of the church"
Which "policies" and which "decisions" are they referring to? Very vague. Perhaps they are referring to "decisions" such as starting a school, or decisions such as starting a satellite ministry, or decisions to change the bylaws while keeping the congregation in the dark about what those changes were. In a church of tens of thousands of people, not everyone will agree with all of the "decisions" of the pastor, and some people will choose not to support those decisions with their money or their time and talent. The Watchdog has given his views of those big decisions made by the pastor, as well as smaller decisions: such as decisions to raise money for his TV ministry, decisions to utilize "church marketing firms", decisions to advertise Holy Land trips, his decision to call us names and belittle us from the pulpit, and a whole host of other decisions made by the pastor. As to which "policies" the Watchdog is accused of telling members they should disregard and defy is uncertain. "G. You have held First Baptist Church's leaders in contempt before its own congregation and the world without restraint"
To hold someone in "contempt" would mean to belittle them, or to scorn them or to disrespect them. If pointing out abuses of a pastor and voicing an opinion on them is holding them in contempt, then perhaps the Watchdog is guilty. I would point out that the pastor himself is guilty of the very thing of which the Watchdog is accused, using this same standard, of holding the entire congregation in contempt as he belittles them on a regular basis with his condescending, looking-down-the-nose attitude, and he has done it without restraint as he continues this behavior. He has also shown contempt for Sheri Klouda in lying about her and not apologizing, and contempt for the memories of the late Mrs. Criswell and Mrs. Truett, as he has said disparaging remarks about them while functioning in his role as "pastor" of our church. "H. You have questioned, without a factual basis, the legitimacy of the ministerial and operational policies of First Baptist Church." Sounds like a repeat of letter F. Again, very vague. "I. You have discouraged the success of the 23rd annual Pastors Conference and have repeatedly cast doubt on the integrity of its operations and objectives"
The Watchdog has expressed several concerns about the Pastors Conference - the latest of which is the charging of unusually large fees for the use of our facilities by other ministries - such as $750 for a display table, and up to $12,500 to display videos, banners, and to mention the ministry from the pulpit. The Watchdog has been VERY critical of transforming our Pastors Conference into a marketing bonanza where funds have been raised through the selling of promotional time. Our church facilities were built using the monies given by the people of God for the furtherence of the gospel - NOT so they could be used by Team Brunson and their marketing and promotions firms to raise revenues by charging access to non-profit ministries for the privilege of using the building. The Watchdog has also been critical of the decision to charge members entrance to portions of the conference. The Watchdog has also been critical of the pastor using the conference to give sole credit to his own son for its success, even going so far as to crediting his son for "raising $100,000, which is more than twice his salary" in front of the pastors and Dr. David Jeremiah who was on the platform. 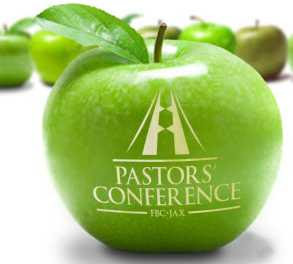 So yes, there has been much the Watchdog has said about the Pastors Conference. If shining light on these terrible decisions and commenting on WHY they are terrible decisions - if this harms the Pastors Conference - blame Team Brunson, not the Watchdog. Here's a thought about "operational policies" of FBC Jax. Can someone please explain the role that Mrs. Brunson plays in our church? If she is on paid staff, and in the pastor's suite...and if she attends staff meetings...what is her position and role in defining the direction of our church? Is it defined in the bylaws? Is she a "co pastor"? What is her title, and what is her job description? Is her salary commensurate with her education, qualifications, and experience? No accusations. Just questions. Tomorrow: Items J. through M.